For years I’ve been trying to get the office to go all in on a DivX Certified® car windshield to play stunning DivX® video while driving. 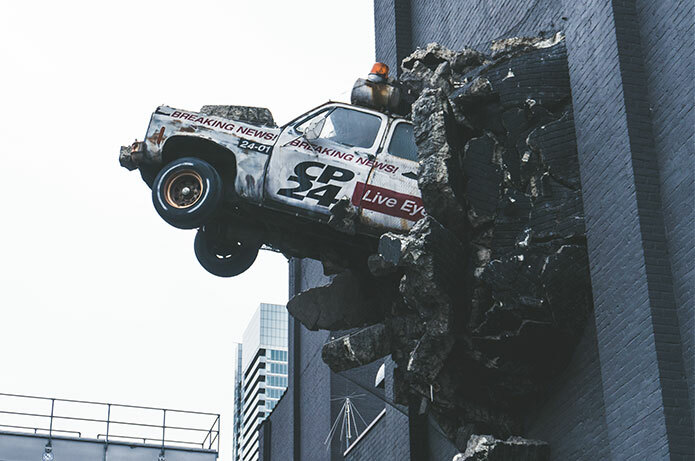 I would get the usual responses like, “Ha, ha, ha, yeah totally … wait, you’re joking, right?”, and “Please stop talking to me about your absurdly dangerous windshield idea.” Ah, co-workers. While my dream (nightmare?) of 4K windshields is on hold, playing video in your car is not. You may know that over a billion devices supporting DivX video have been shipped worldwide (Blu-ray players, TVs, gaming consoles, etc. ), but you might not know that you can enjoy DivX video in your car. 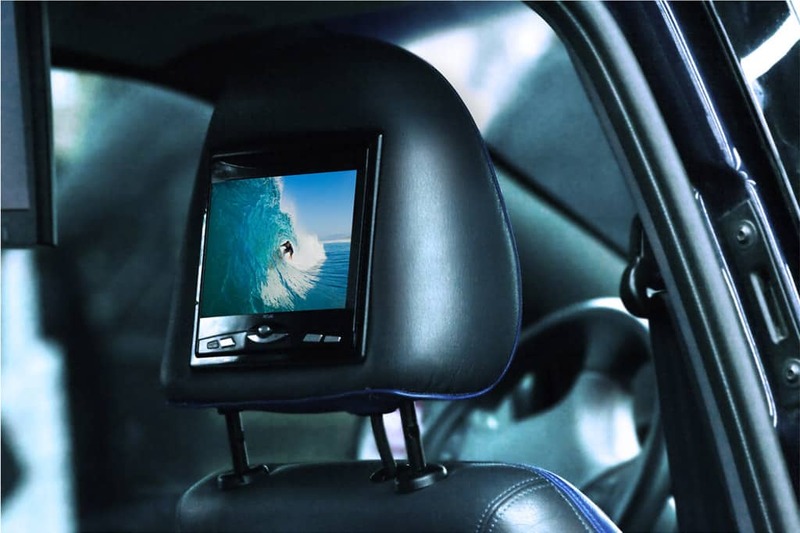 Each year, more and more in-car entertainment systems are capable of DivX playback, and supporting other video formats enabled by DivX technology as well. 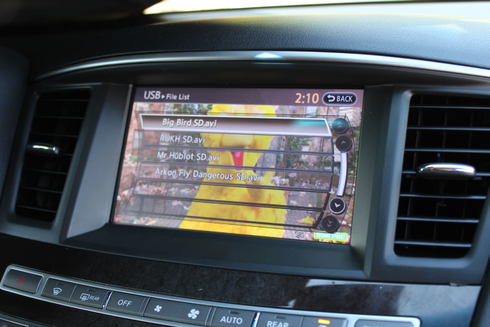 Brands such as Land Rover, Infiniti, Nissan, GM, Volvo, Hyundai and more are offering DivX-enabled features on many of their cars. This means you can bring your favorite videos on the road to entertain you and your passengers. Say you’re going on a roadtrip with your family or friends and want to keep everyone occupied on the long drive. You can transfer movies to your car through a disc, USB drive or even SD card slot. With the low cost of storage, you can get a 16GB flash drive for less than $5 USD (I picked up a Kingston Digital 16GB for $4). And even 16GB will store tons of DivX video content since DivX video files have been compressed but remain high-quality. There are many ways to download videos that you enjoy. In addition to peer-sharing, there are sites like Vimeo offering videos that can be downloaded to your computer. 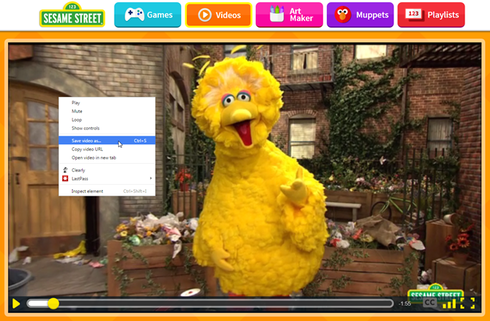 Even the kids (the young ones at least) luck out as you can download videos directly from Sesame Street’s site at https://www.sesamestreet.org/videos. Check out their collection of Sesame Street short videos, click on the video and select “Save video as…” to save a copy to your computer. Skip the DJ banter and fast food ads on the radio by curating your own music video playlist. Find music videos online and download them to your computer. Depending on the file format, you can always drag and drop the file onto DivX Converter to convert the video to a format that will work in your car, such as the DivX Home Theater profile. (More on video conversion below.) Put those music video files onto a USB drive and take it to the car. Your passengers can enjoy their favorite videos and you can enjoy the music. Why Doesn’t My Video Play in the Car? Soon you’ll have an assortment of videos to keep your rear seat passengers entertained. The only problem is, the videos will likely be in a variety of formats that may not play in your car. For example, some car systems won’t play high definition MP4 files. You’re in luck as that’s where DivX Converter comes in (part of the free DivX Software suite). Simply drag and drop your videos on to DivX Converter, choose the Home Theater profile (many of the in-car systems are certified for standard definition playback) and click “Start”. DivX Converter crunches your video files down to the standard definition Home Theater profile that is compatible with your DivX Certified in-car system. Once conversion is completed, simply copy the converted videos on to your USB flash drive and plug it into the USB port. That’s it. No need to worry about DVDs that warp in the hot sun or get coated with sticky fingers. The USB drive just plays file after file with no fuss. You can even watch along on the front seat monitor … while you are in park. While driving you’ll only hear the audio (no video) but that’s still pretty handy if you have a collection of music videos or TED lectures. Keep in mind that you only need to register your device with DivX if have purchased DivX content to play. If your content was downloaded from Vimeo, Sesame Street or wherever, you won’t need to register your device to enjoy your videos. Just plug and play! Now you know how to enjoy videos while you cruise around in your car. If I could just keep you another minute to pitch you on my 4K windshield/screen idea … wait, where are you going? 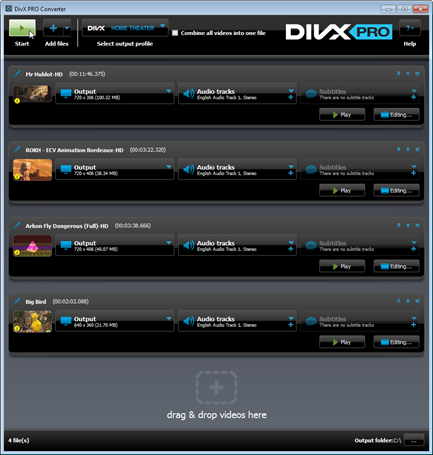 Enabling Cloud Connect (included in DivX Pro) allows DivX Software to sync videos from Google Drive and Dropbox. With one easy step, you can download and upload videos from multiple cloud storage accounts in DivX Software. You can sync videos without the hassle of having to download extra apps or open multiple browser and file windows. Import videos from cloud storage to convert in DivX Converter. Easily upload converted videos directly to cloud storage to save space. Download videos from Dropbox or Google Drive and cast them to a DLNA or Chromecast device with DivX Media Server. Google Drive is a trademark of Google Inc. Use of this trademark is subject to Google Permissions. Experience theater-quality audio tracks for your videos when you buy AC3 Audio Edition of DivX Software (or DivX Pro). As the popular surround sound format used by DVDs, Blu-rays and many other digital video formats, AC3 tracks simulate surround sound speakers on your PC for an audio experience that feels like you’re in the theater. Its exceptional power, nuance, and clarity supports up to 5.1 audio channels in DivX Software. Add support for AC3 audio with DivX video formats, including HEVC video up to 4K Ultra HD. Play AC3 audio in DivX Player on Windows or Mac computers. Enjoy AC3 audio at home or on the go with DivX devices that support AC3. Get high-quality surround sound when you buy the DTS-HD® Plug-in for DivX Software (or DivX Pro). Enable the conversion and playback of DivX video with DTS-HD audio, including HEVC video content up to 4K. The DTS-HD Plug-in allows you to convert and play videos with DTS audio tracks for studio-quality sound. Whether enjoying entertainment at home or on the go, DTS aims to provide the finest audio experience possible no matter what device you are using. The DTS-HD Plug-in for DivX Software includes DTS-HD Master Audio™, which decodes all DTS codecs including DTS Digital Surround™, DTS Express™, and DTS Coreless lossless streams, with the DTS decoder. Depending on the DTS codec used to create the audio in your file, DTS may allow up to 7.1 discrete channels and a data savings that makes encoding faster with better quality. For DTS patents, see http://patents.dts.com. Manufactured under license from DTS Licensing Limited. DTS, DTS-HD, the Symbol, & DTS or DTS-HD and the Symbol together are registered trademarks and DTS-HD Master Audio is a trademark of DTS, Inc. © DTS, Inc. All Rights Reserved. NOTE: DTS Plug-in for DivX Converter only works with Windows, however DTS Plug-in for DivX Player works with both Windows and Mac. We get it, ads can ruin a good experience. It’s a great way to help keep our software free, but that doesn’t mean you want to see ads in DivX Player, DivX Converter or when installing the software. Purchase Ad-Free (or DivX Pro) to avoid any third-party ads or offers, and enjoy your videos in peace. Buying Video Pack (or DivX Pro) allows you to convert unencrypted MPEG-2 and VC-1 files, so you can backup your Blu-ray or DVD discs. If you have stacks of discs to convert to digital files, or want to cast Blu-ray or Windows Media to your TV or gaming console, Video Pack is your solution. Simply drag and drop your files and convert with a single click. Learn more about the MPEG-2 video standard. Add support for MPEG-2 video formats (MPG, TS, VOB, SVCD) and VC-1 formats (M2TS, TS) in DivX Converter. Enable Converter to quickly convert formats above in addition to MKV, WMV, AVI, MOV and MP4 files. Give your audio a boost when you purchase DFX (or DivX Pro). This audio plug-in makes your videos sound sharper, livelier and pack more punch. DFX enables you to adjust or apply different audio effects to improve your listening experience. Try it out (free 30-day trial) to enjoy big screen audio with your cinematic video. NOTE: DFX Audio Enhancer works in DivX Player for Windows only. On top of all the features listed above, there are some additional advantages that come with purchasing DivX Pro. In DivX Converter, you can unlock custom encode settings, set B-Frames, modify settings with Target Quantizer and other super nerdy options. In DivX Player, you can enable HEVC 10-bit playback and more.